Betty Ann Valdez, 64, passed away on Tuesday, October 9, 2018. She was born on November 30, 1953 in Rock Springs, Wyoming, to Pacomio and Cecilia O. Gomez Valdez. At the age of 6 years old Betty moved to Ogden with her family where she resided for the rest of her life. She graduated from Ogden High School in 1972 and attended classes at Weber State. She was baptized Catholic and participated in several church activities including The Council of Catholic Women. 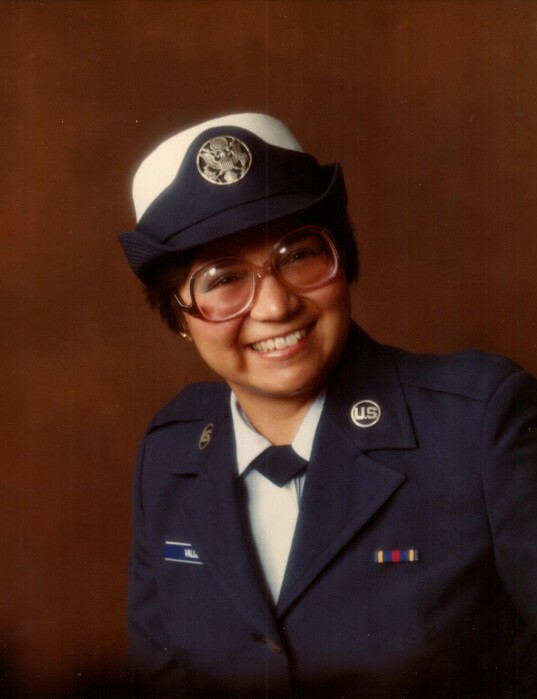 Betty’s desire to show her patriotism led her to join the United States Air Force Reserves in 1982. She enjoyed her tours of duty while serving her country, especially when she went to Denmark. She worked for Mountain Bell which became US West Communications for 30 years. She was part of the Communications Workers of America Union and was very active. She enjoyed music and excelled at playing the violin and guitar. She also enjoyed fishing, baking, traveling, and taking care of her loved ones. Betty is survived by her sisters, Kathy King of Ogden and Sally Valdez of Salt Lake City; brother-in-law, Bob Alzugarat; and nephews, Michael King and Christopher Sundquist. She was preceded in death by her father, Pacomio Valdez; mother, Cecilia O. Valdez; brother, Patrick Valdez; and sister, Patsy Valdez Alzugarat. Funeral Mass will be held on Friday, October 12, 2018 at 10 a.m. at St. Joseph’s Catholic Church, 514 24th St., Ogden. Friends may visit with family on Thursday from 6 to 8 p.m. at Lindquist’s Ogden Mortuary, 3408 Washington Blvd. with Recitation of the Rosary at 7 p.m. at the mortuary. Interment, Lindquist’s Memorial Gardens of the Wastach, 1718 Combe Rd.